WB12 is a handheld Bluetooth GSM 3G WiFi jammer and its implementation is really spectacular. This device is used against so many wireless threats you would not believe. The most important is that it can protect your wireless internet access from being hacked by any stranger. With help of this product you can prevent such wireless threats as webcam snooping, personal data stealing, and many more. Moreover, not only visual and textual privacy will be protected, but your location privacy will also be secured from indoor tracking spying. 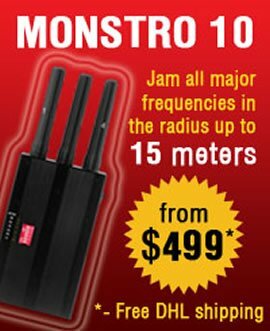 WB12 wireless jammer is also able to jam wifi cameras. 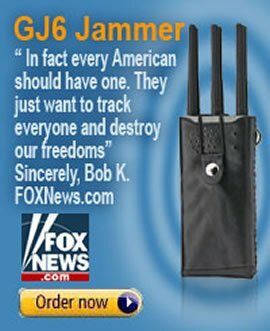 Yet not only WiFi and Bluetooth frequencies are potentially dangerous. GSM and 3G bands are also may cause many troubles to you. 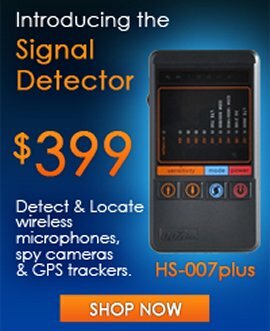 Yet if you have WB12 in your hands you can prevent law enforcement agencies from using eavesdropping techniques, cell phone tower location triangulation technologies and other spying methods to snoop on you with the help of GSM and 3G frequencies. There is a small panel with switches at the side of this device that will help you to control the whole process even better.